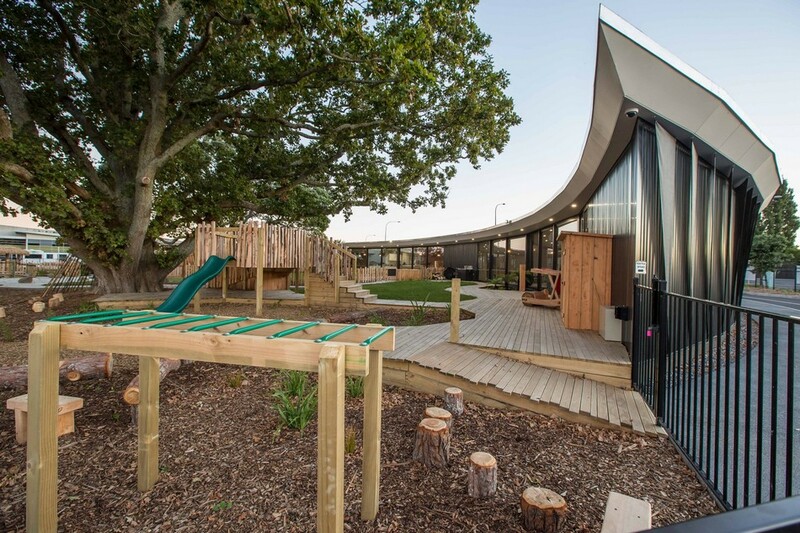 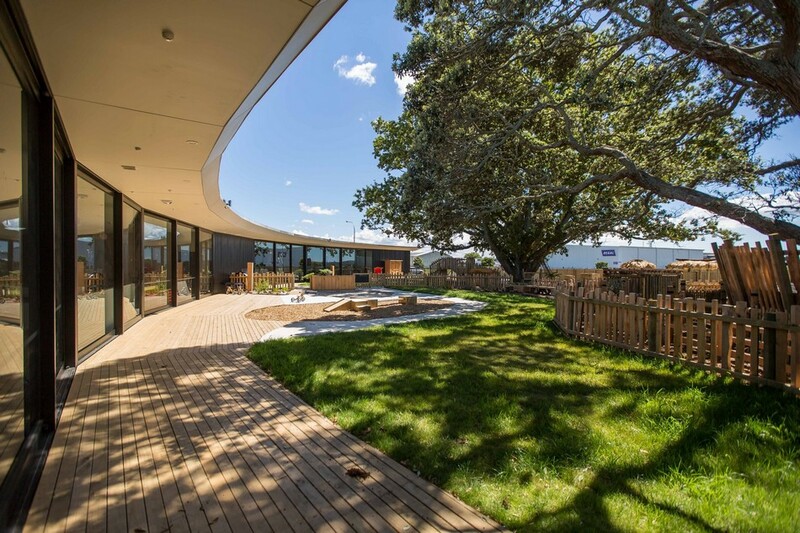 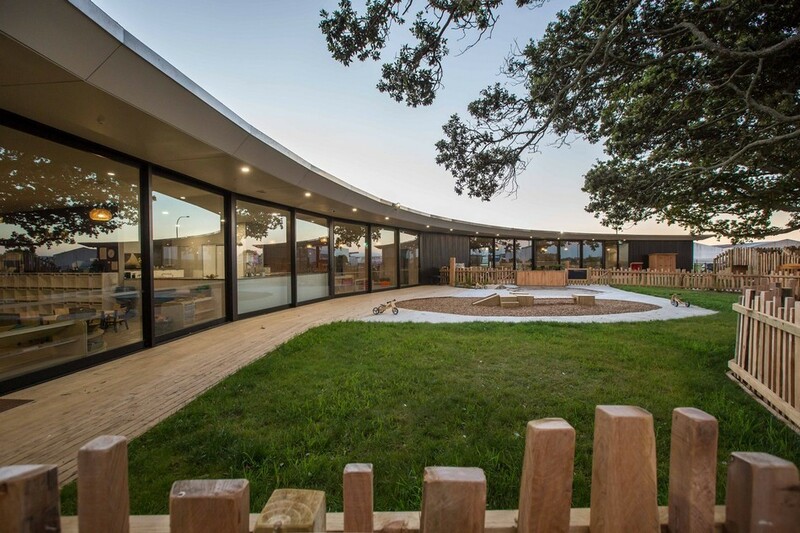 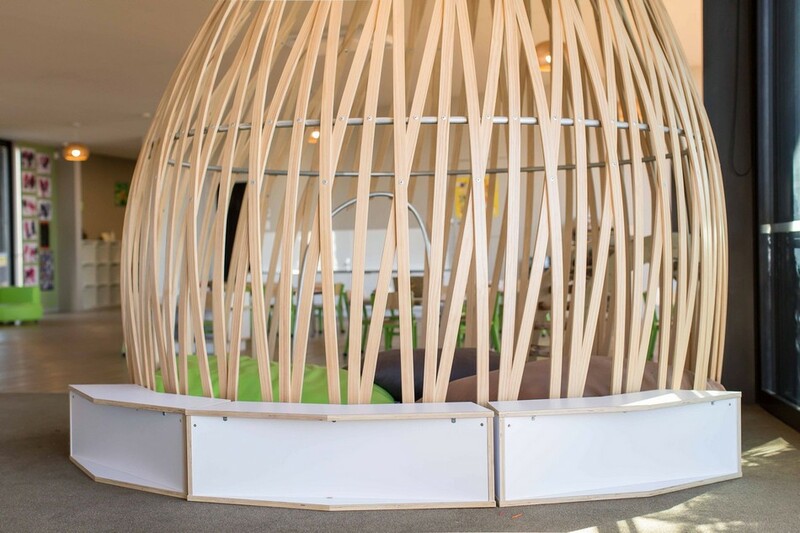 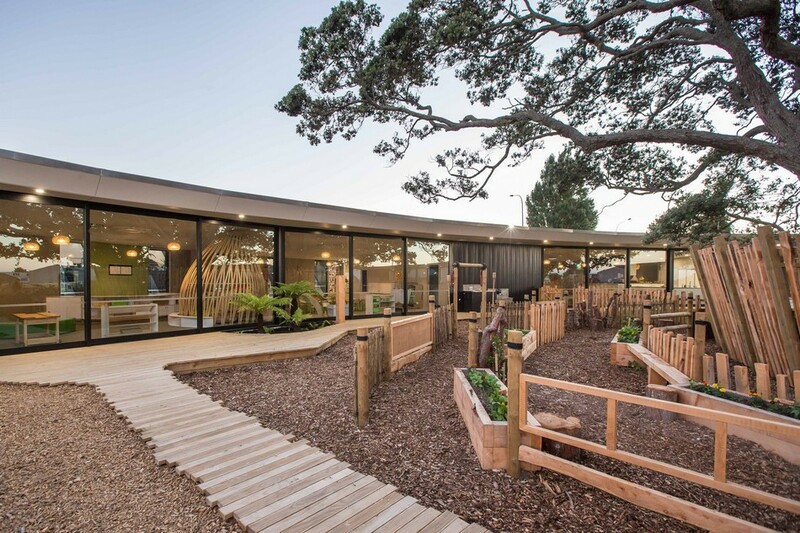 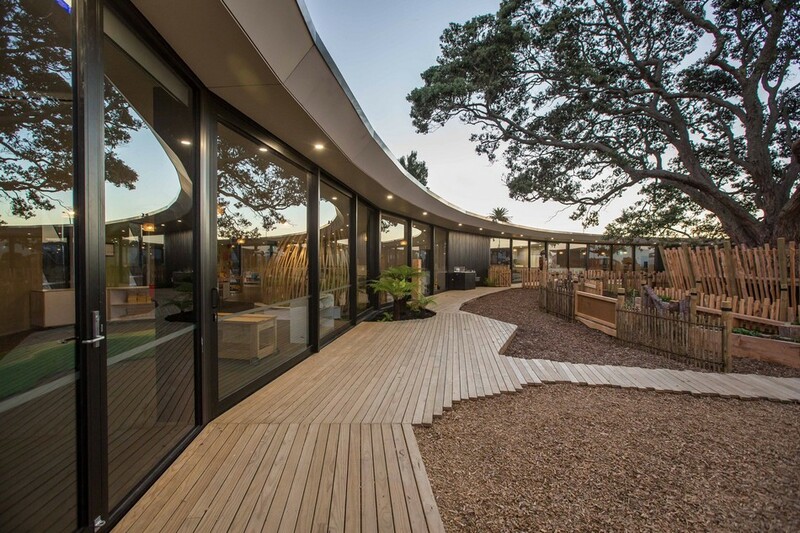 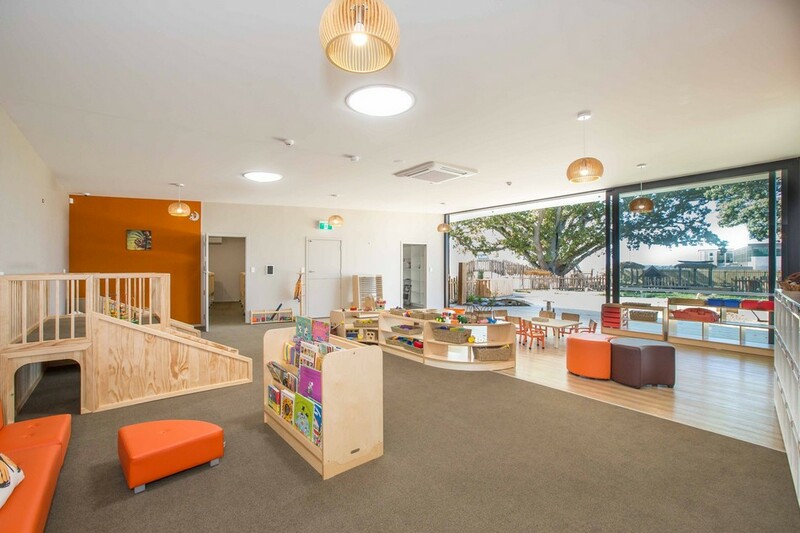 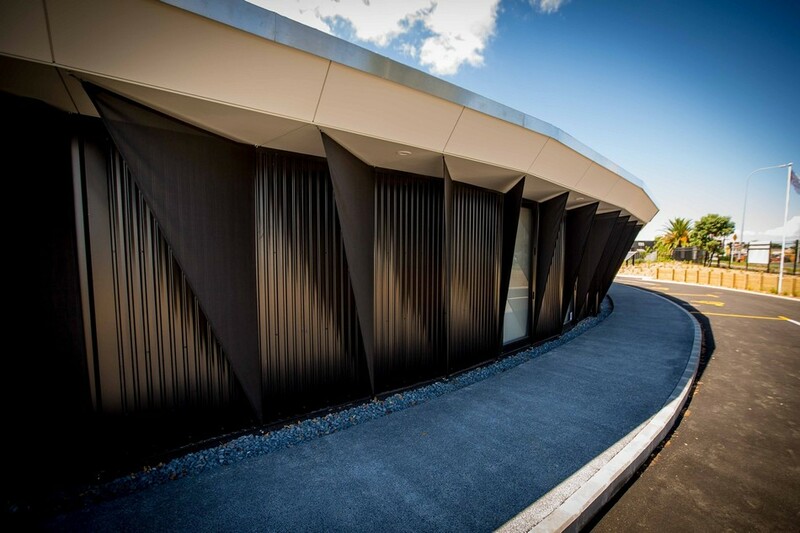 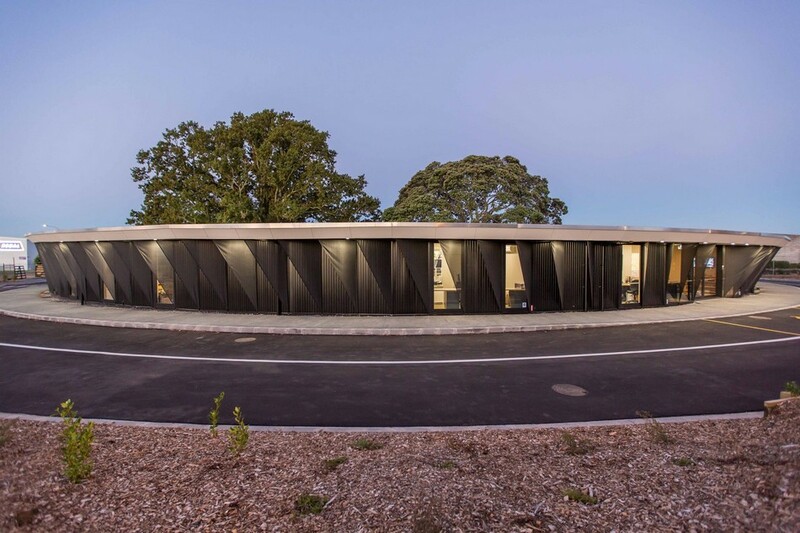 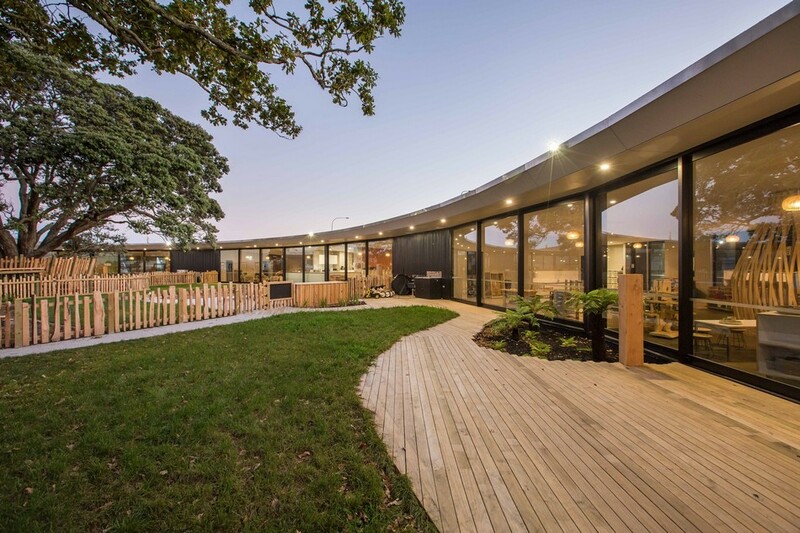 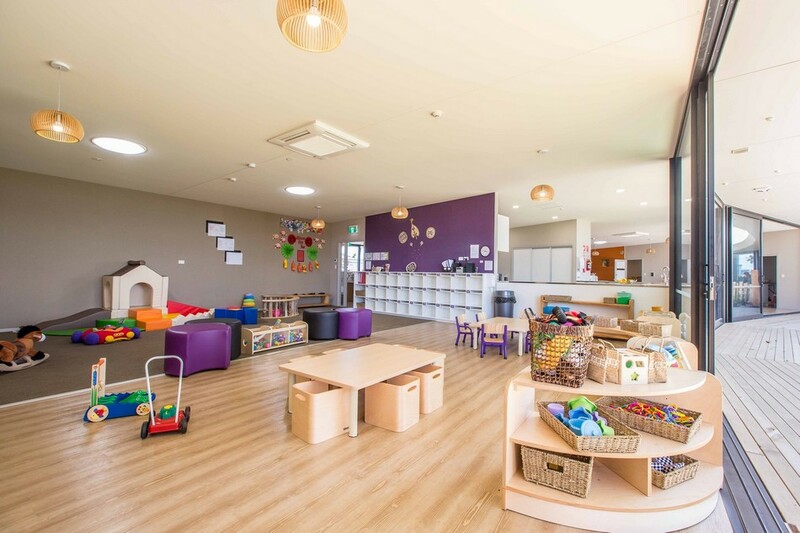 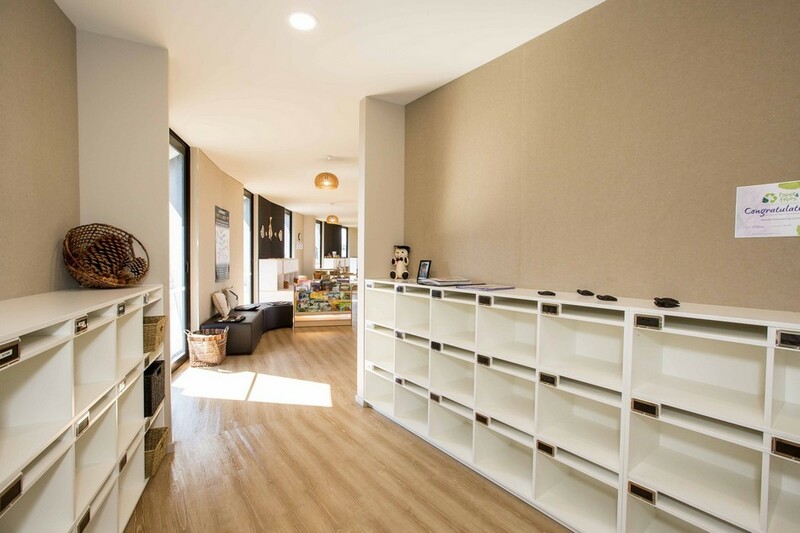 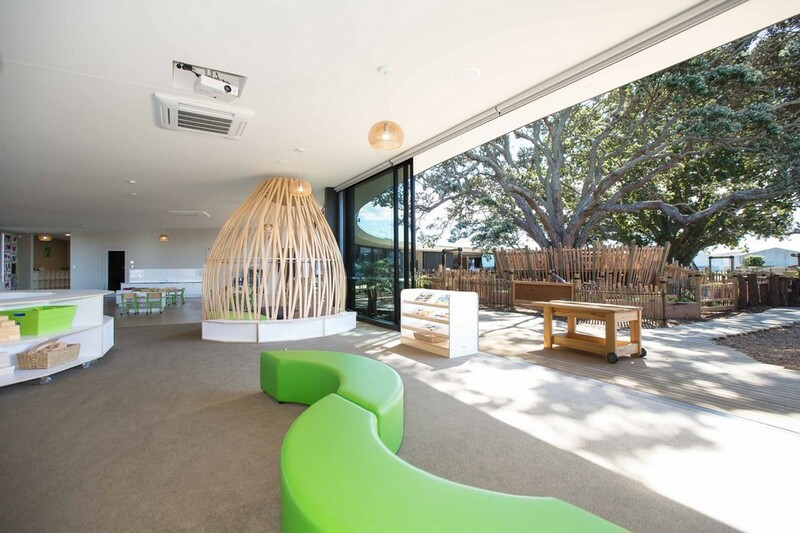 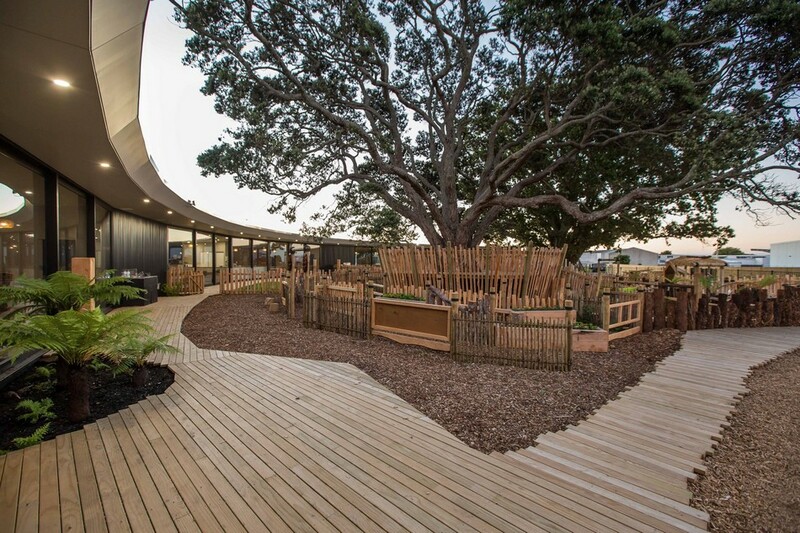 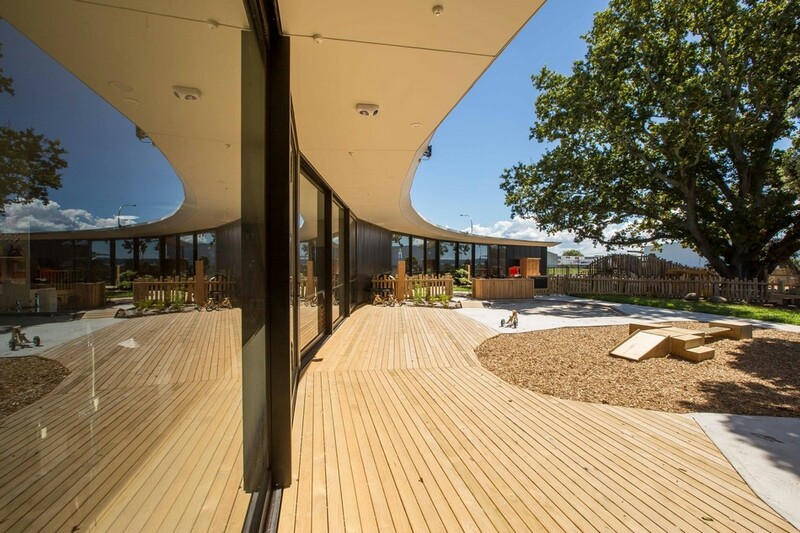 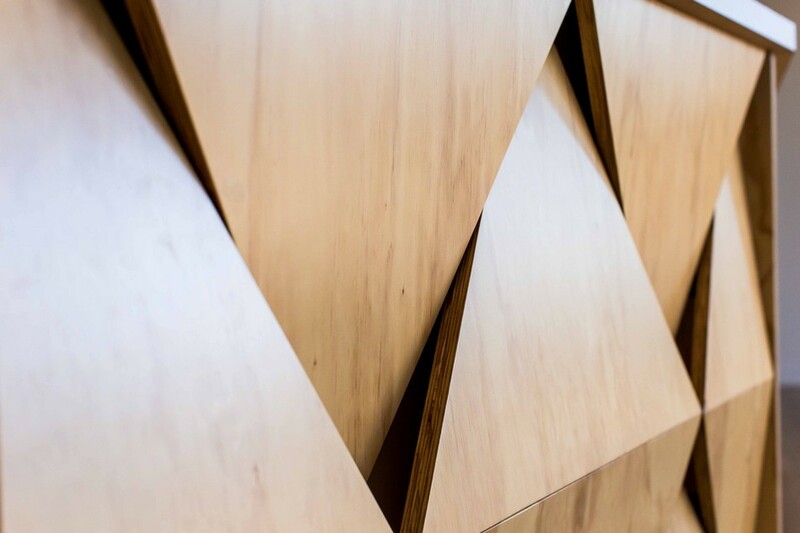 Collingridge and Smith Architects completed the design and development of Chrysalis Childcare Centre, a modern project in Auckland, New Zealand. 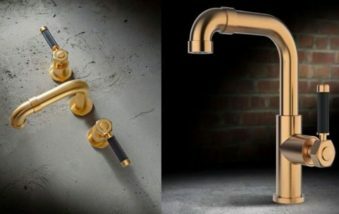 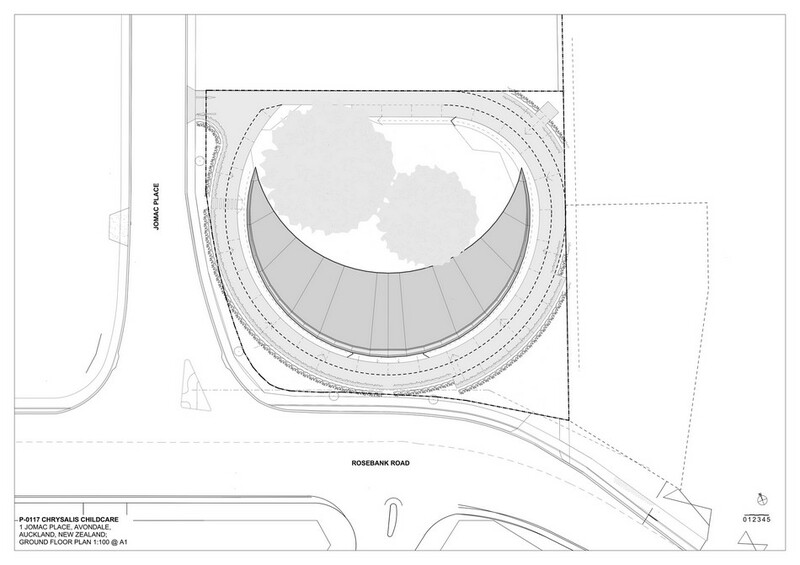 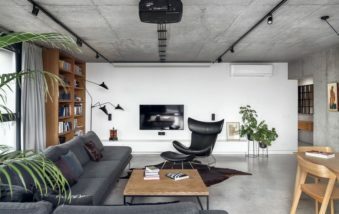 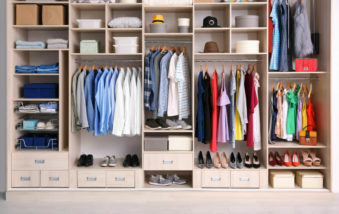 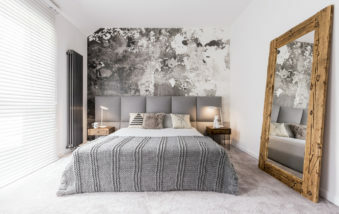 The 800 square-meter site which hosts the project is located in a commercial area. 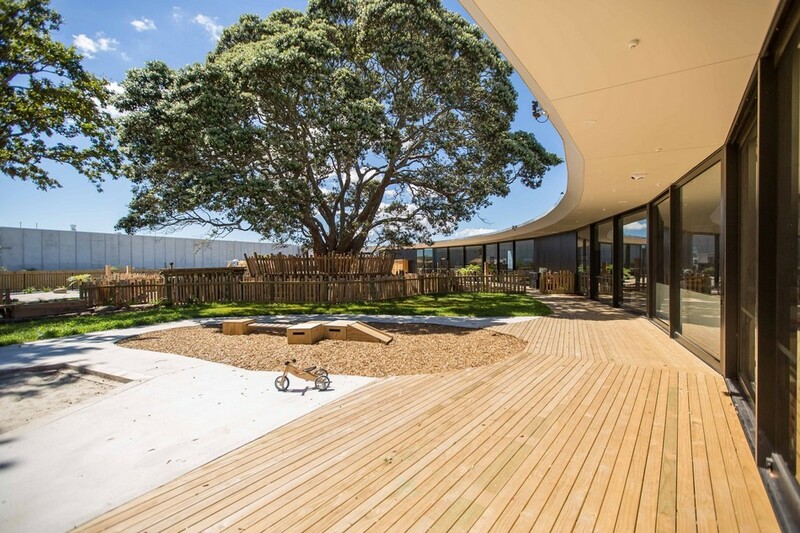 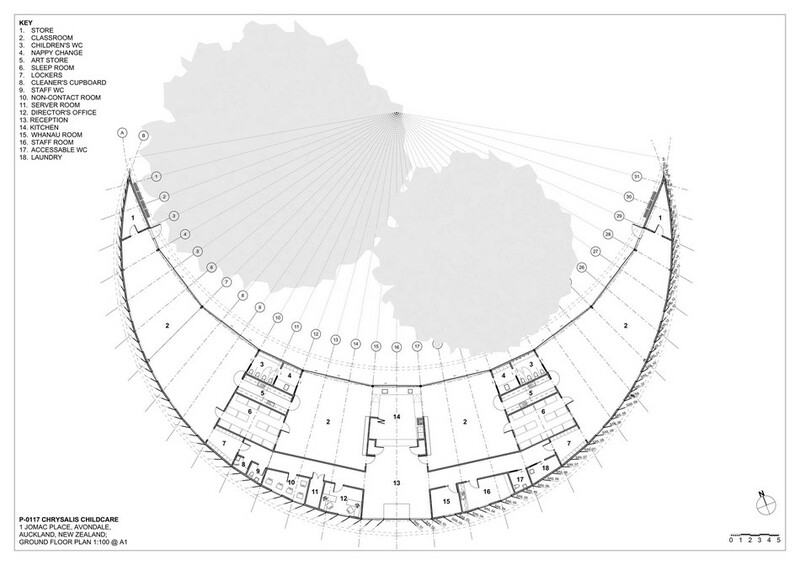 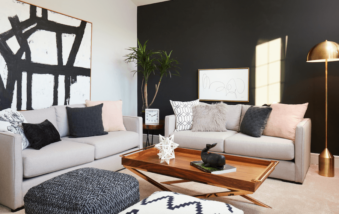 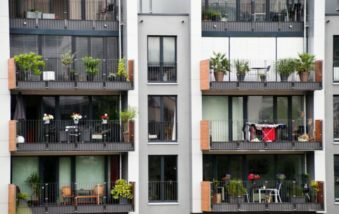 Yet common building was restricted due to the presence of two mature protected trees: “For most developers the trees have been a big problem, but for early childhood they provide a beautiful and symbolic solution. 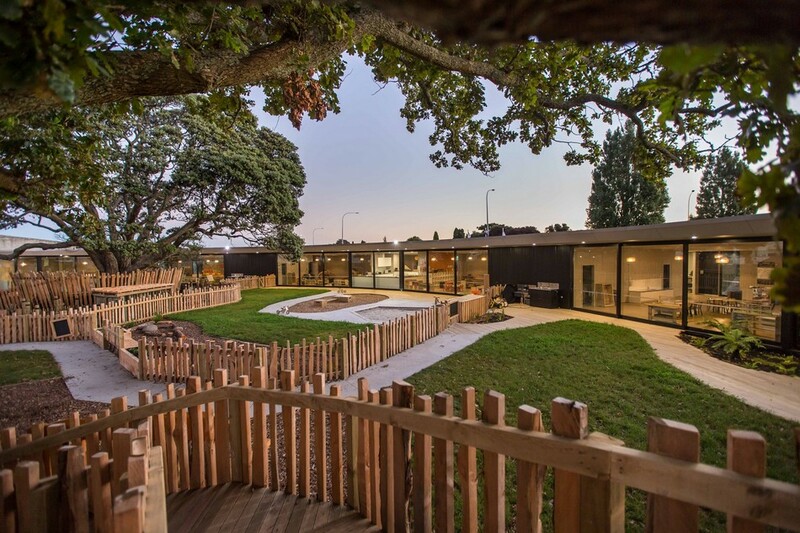 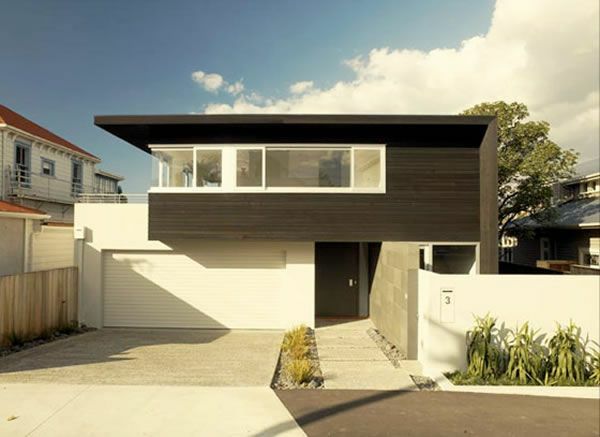 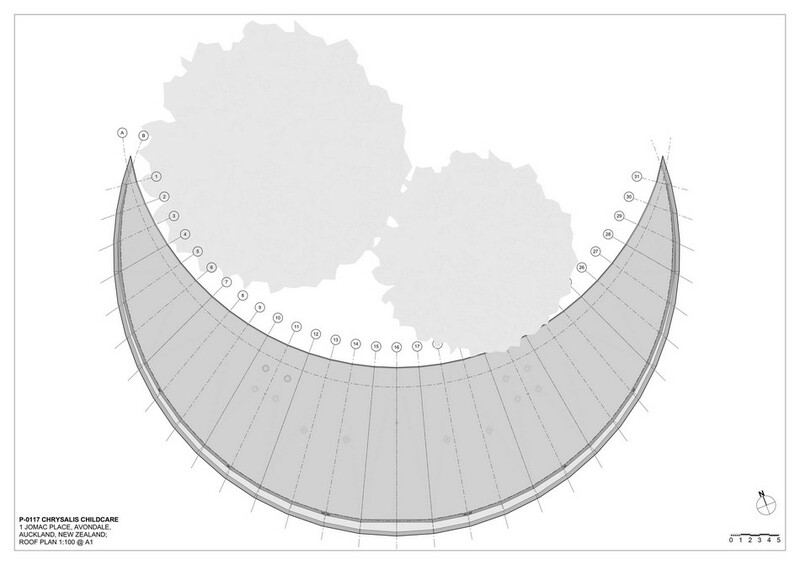 One is an English Oak tree, the other a native Pohutakawa, both of equal size and stature, standing side by side, their branches touching at the heart of the site”, explained the architects.